1. Evidence does suggest the presence of "dark" matter, whose nature is yet unknown. 2. John S. Rigden, "H Stands for Hydrogen . . . and Humility,"
American Journal of Physics 50, 299 (1982). 1. For a wonderful account of the early moments of the universe, read Steven Weinberg's The First Three Minutes: A Modern View of the Origin of the Universe (New York: Basic Books, 1977). 1. William Prout, Annals of Philosophy 6, 321-330 (1815); 1, 111-113 (1816). 2. Quoted in Prout's Hypothesis, Alembic Club Reprints, no. 20 (Edinburgh: The Alembic Club, 1932), 17. 5. Frederick Soddy, Nature 92, 399-400 (1913). 1. Quoted in Herbert Dingle, The British Journal for the History of Science 1, 199-216 (1963), p. 200. 3. Arthur Schuster, "On Harmonic Ratios in the Spectra of Gases," Proceedings of the Royal Society 31, 337-347 (1881). 4. 1 Angstrom = 0.0000000001 meter = 1 X 10-10 meter. 5. Johann Jakob Balmer, Annalen der Physik und Chemie 25, 80-85 (1885). 1. J. J. Thomson, Philosophical Magazine 44, 292-311 (1897). 2. William Thomson, Popular Lectures and Addresses, vol. 2 (New York: Macmillan, 1894). 3. Quoted in Abraham Pais, Inward Bound (Oxford: Oxford University Press, 1986), p. 179. Thomson's number of 1,000 electrons was possibly prompted by his 1897 data, which showed that the m/e ratio for hydrogen is 1,000 times greater than the m/e ratio for the electron. 4. This quotation appears in numerous references: E. N. da C. Andrade, Rutherford and the Nature of the Atom (Garden City: Anchor Books, 1964), p. 114; Barbara Lovett Cline, The Questioners (New York: Thomas Y. Crowell, 1965), p. 6; David Wilson, Rutherford: Simple Genius (London: Hodder and Stoughton, 1983), p. 296. 5. According to Bohr (oral history interview of Niels Bohr by Thomas Kuhn in 1962), he heard Rutherford lecture in the fall of 1911 during which Rutherford described his new atomic model. 6. Niels Bohr, Philosophical Magazine 26, 1-25, 476-502, 857-875 (1913). 7. Niels Bohr, Collected Works, L. Rosenfeld, general ed., vol. 2, Work on Atomic Physics (1912-1917), U. Hoyer, ed. (Amsterdam: North Holland, 1981), p. 111. 9. Quoted in Pais, Inward Bound, p. 208. 10. Victor Weisskopf, in Niels Bohr: Physics and the World (New York: Harwood Academic Publishers, 1988), p. 4. 1. See Werner Heisenberg, Physics and Philosophy: The Revolution in Modern Science (New York: Harper & Brothers, 1958), p. 31. 1. The dimensionless character of the fine-structure constant can be seen by recognizing that the unit of electronic charge, the coulomb, is not a basic unit; rather, it is a derived unit. In terms of basic units, the coulomb can be expressed as follows: coulomb = newton m. Thus, the fine-structure constant is dimensionless. 2. A muon belongs to the same family as the electron. In a sense, the muon can be regarded as a heavy electron where m^ = 207 me. 3. See Toichiro Kinoshita, "The Fine Structure Constant," Reports on Progress in Physics 59, 1459-1492 (1996). 4. Edward M. Purcell, letter to Mr. Roger Auten, 3 September 1986, in author's private collection. 6. Max Delbrück, "Out of This World," in Cosmology, Fusion & Other Matters, Frederick Reines, ed. (Boulder: Colorado Associated University Press, 1972), p. 283. 4. Quoted in Jagdish Mehra and Helmut Rechenberg, The Historical Development of Quantum Theory, vol. 2 (New York: Springer-Verlag), p. 77. 5. Letter, Born to Bohr, 16 April 1924. Quoted (in German) in Niels Bohr, Collected Works, vol. 5, The Emergence of Quantum Mechanics (Mainly 1924-1926), Klaus Stolzenburg, ed. (Amsterdam: North-Holland, 1984), p. 299. 6. Letter, Pauli to Bohr, 11 February 1924. Quoted in Mehra and Rechenberg, vol. 2, p. 133. 7. Heisenberg interview in Archives for the History of Quantum Physics, p. 4. 8. Letter, Heisenberg to Bohr, 21 April 1925. Quoted in Mehra and Rechenberg, vol. 2, p. 209. 9. Letter, Heisenberg to Bohr, 16 May 1925. Quoted in Mehra and Rechenberg, vol. 2, p. 213. 10. Hendrik Kramers, quoted in Mehra and Rechenberg, vol. 2, p. 214. 11. Helge S. Kragh, Dirac: A Scientific Biography (Cambridge: Cambridge University Press, 1990), p. 20. 13. Wolfgang Pauli, Zeitschrift für Physik 36 (1926), 336-363, p. 357. 14. Letter, Niels Bohr to Wolfgang Pauli, 13 November 1925, quoted in Mehra and Rechenberg, vol. 3, p. 181. 15. Letter, Werner Heisenberg to P. A. M. Dirac, 9 April 1926, quoted in Kragh, p. 23. 16. Max Born, lectures at MIT, 1926. Quoted in Mehra and Rechenberg, vol. 3, p. 171. 1. Letter, Schrödinger to Einstein, 3 November 1925. Quoted in Walter Moore, Schrödinger: Life and Thought (Cambridge: Cambridge University Press, 1989), p. 192. 2. E. Schrödinger, Annalen der Physik 79, 361-376 (1926), p. 361. For a translation of this paper, see E. Schrödinger, Collected Papers on Wave Mechanics (London: Blackie & Sons Limited, 1928), 1-12, p. 1. 5. Letter, Pauli to Jordan, 12 April 1926; quoted in Jagdish Mehra and Helmut Rechenberg, The Historical Development of Quantum Mechanics, vol. 5, pt. 2 (New York: Springer-Verlag, 1987), p. 617. 6. Letter, Einstein to Schrödinger, 16 April 1926, quoted in Mehra and Rechenberg, vol. 5, pt. 2, p. 625. 7. Max Born, Physics in My Generation (New York: Springer-Verlag, 1969), p. 89. 8. Quoted in Max Jammer, The Conceptual Development of Quantum Mechanics (New York: McGraw-Hill, 1966), p. 283. 9. Letter, Schrödinger to Wien, 25 August 1926; quoted in Mehra and Rechenberg, vol. 5, pt. 2, p. 827. 10. Quoted in Abraham Pais, Inward Bound: Of Matter and Forces in the Physical World (Oxford: Clarendon Press, 1986), p. 255. 11. Schrödinger, Collected Papers, p. 45.
chanics to Unified Quantum Mechanics," in The Physicist's Conception of Nature, Jagdish Mehra, ed. (Dordrecht: D. Reidel Publishing, 1973), p. 278. 13. Letter, Bohr to Schrödinger, 11 September 1926. Quoted in Mehra and Rechenberg, vol. 2, p. 625. 14. Werner Heisenberg, Physics and Beyond: Encounters and Conversations (New York: Harper & Row, 1971), p. 73. 16. Erwin Schrödinger, Naturwissenschaften 23, 807-8812, 823-828, 844-849 (1935). 17. C. Monroe, D. M. Meekhof, B. E. King, and D.J. Wineland, "A 'Schrödinger Cat' Superposition State of an Atom," Science 272, 1131— 1136 (1996). 1. P. A. M. Dirac, "The Quantum Theory of the Electron, I", Proceedings of the Royal Society (London) 117, 610-624 (1928), p. 610. 2. Quoted in Helge S. Kragh, Dirac: A Scientific Biography (Cambridge: Cambridge University Press, 1990), p. 57. 3. Quoted in Laurie M. Brown and Helmut Rechenberg, "Dirac and Heisenberg—A Partnership in Science," in Reminiscences about a Great Physicist: Paul Adrien Maurice Dirac, Behram N. Kursunoglu and Eugene P. Wigner, eds. (Cambridge: Cambridge University Press, 1987), p. 148. 8. P. A. M. Dirac, "Quantised Singularities In the Electromagnetic Field," Proceedings of the Royal Society A133, 60-72 (1931), p. 61. 1. Ernest Rutherford and Frederick Soddy, Philosophical Magazine 4, 370-390 (1902). 2. Frederick Soddy, "Inter-atomic Charge," Nature 92, 399-400 (1913). 3. There is a third isotope of hydrogen called tritium with two neutrons joining the proton in the nucleus. It is radioactive, however, and is not present in naturally occurring samples of hydrogen. Tritium can be created in the laboratory. 4. Ferdinand G. Brickwedde, "Harold Urey and the Discovery of Deuterium," Physics Today, September 1982, 34-39. 6. John S. Rigden, Rabi: Scientist and Citizen (New York: Basic Books, 1987); republished by Harvard University Press with a new preface (2000), p. 90. 7. For a complete account of the naming of deuterium, see Roger H. Stuewer, "The Naming of the Deuteron," American Journal of Physics 54, 206-218 (1986). 1. Quoted in Abraham Pais, Inward Bound (Oxford: Oxford University Press, 1986), p. 208. 2. Quoted in Bretislav Friedrich and Dudley Herschbach, Daedalus, Winter 1998, p. 179. 3. John S. Rigden, "Atoms, Molecules and Clusters," Zeitschrift für Physik D 10, 119-120 (1988), p. 119. 4. Immanuel Estermann, S. N. Foner, ed., "History of Molecular Beam Research," American Journal of Physics 43, 661-671 (1975), p. 670. 1. John S. Rigden, Rabi: Scientist and Citizen (New York: Basic Books, 1987); republished with new preface by Harvard University Press (2000), p. 61. 2. Stern, foreword to Ronald G. J. Fraser, Molecular Rays (Cambridge: Cambridge University Press, 1931), x. 11. Personal conversation, late 1987. 1. J. M. B. Kellogg, I. I. Rabi, N. F. Ramsey, Jr., and J. R. Zacharias, "An Electrical Quadrupole Moment of the Deuteron," Physical Review 57, 677-695 (1940). 2. Van Vleck to Rabi, 28 November 1938, Rabi's private papers. 3. Van Vleck to Rabi, 5 December 1938, Rabi's private papers. 4. Interview of Hans Bethe by Charles Weiner and Jagdish Mehra, 28-29 October 1966, Center for the History of Physics, American Institute of Physics. 1. Roger Stuewer, "Bringing the News of Fission to America," Physics Today, October 1985, 48-56. 2. James Phinney Baxter, III, Scientists Against Time (Boston: Little Brown, 1946), p. 142. 3. Many of the details that follow were drawn from Professor Robert Pound's detailed records. I am grateful to Pound for this information. 4. Edward M. Purcell, AIP Oral History, 1977, p. 27. 5. C. G. Montgomery, R. H. Dicke, and E. M. Purcell, Principles of Microwave Circuits, Radiation Laboratory Series vol. 8 (New York: McGraw Hill, 1948). 6. John S. Rigden, "Quantum States and Precession: The Two Discoveries of NMR," Reviews of Modern Physics 58, 433-448 (1986). 7. J. H. Van Vleck, "The Absorption of Microwaves by Uncondensed Water Vapor," Physical Review 71, 425-433 (1947). 8. E. M. Purcell, H. C. Torrey, and R. V. Pound, "Resonance Absorption by Nuclear Magnetic Moments in a Solid," Physical Review 69, 37-38 (1946). 9. F. Bloch, W. W. Hansen, and M. Packard, "Nuclear Induction," Physical Review 69, 127, 680 (1946); "The Nuclear Induction Experiment," 70, 474-485 (1946). Feynman, Schwinger, and Tomonaga (Princeton: Princeton University Press, 1994), p. 175. 4. W. V. Houston, "A New Method of Analysis of the Structure of H„ and Da," Physical Review 51, 446-449 (1937); R. C. Williams, "The Fine Structures of Ha and Da under Varying Discharge Conditions," Physical Review 54, 558-567 (1938). 1. John S. Rigden, Rabi: Scientist and Citizen (New York: Basic Books, 1987), p. 177. 2. J. E. Nafe, E. B. Nelson, and 1.1. Rabi, "The Hyperfine Structure of Atomic Hydrogen and Deuterium," Physical Review 71, 914-915 (1947). 3. Remember, it was Dirac theory that persuaded physicists that they knew the magnetic moment of the proton. Stern's experiment showed that the physicists' assumption was wrong. 5. Richard Feynman, QED (Princeton: Princeton University Press, 1985), p. 118. 1. Quoted in Dieter B. Herrmann, The History of Astronomy from Herschel to Hertzsprung (Cambridge: Cambridge University Press, 1973), p. 69. 3. J. S. Hey, The Evolution of Radio Astronomy, Science History Publications, Neale Watson (New York: Academic Publications, 1973), p. 7. 4. Quoted in W. T. Sullivan III, ed., The Early Years of Radio Astronomy (Cambridge: Cambridge University Press, 1984), p. 137. 5. Nicolaas Bloembergen, "Edward M. Purcell (1912-1997)," Nature 386, 662 (1997). 6. Unpublished image constructed by Gart Westerhout from Dutch and Australian data. 7. Benjamin K. Malphrus, The History of Radio Astronomy and the National Radio Astronomy Observatory (Malabar, Fla.: Krieger Publishing Co., 1996). See p. 26. 1. Quoted in "Timekeepers—An Historical Sketch," by H. Alan Lloyd in The Voices of Time, J. T. Fraser, ed. (New York: George Braziller, 1966), p. 390. 3. J. R. Zacharias, J. G. Yates, and R. D. Haun, "An Atomic Frequency Standard," Proceedings of the Institute of Radio Engineers 43 (3), 364 (1955). 4. H. M. Goldenberg, D. Kleppner, and N. F. Ramsey, "Atomic Hydrogen Maser," Physical Review Letters 5, 361-362 (1960). 5. Norman F. Ramsey, Spectroscopy with Coherent Radiation: Selected Papers of Norman F. Ramsey with Commentary (Singapore: World Scientific, 1998), p. 205. 6. R. F. C. Vessot et al., "Test of Relativistic Gravitation with a Space Borne Hydrogen Maser," Physical Review Letters 26, 2081-2084 (1980). 1. Quoted in Nadia Robotti, "The Spectrum of Z Puppis and the Historical Evolution of Empirical Data," Historical Studies of the Physical Sciences 14, Part 1, 123-145, p. 125. 2. G. W. Series, "The Rydberg Constant," Contemporary Physics 14, 49-68 (1974), p. 51. 3. G. W. Series, The Spectrum of Atomic Hydrogen (Oxford: Oxford University Press, 1957). 4. T. W. Hänsch, I. S. Shahin, and A. L. Schawlow, "Optical Resolution of the Lamb Shift in Atomic Hydrogen by Laser Saturation Spectroscopy," Nature Physical Science 235, 63-65 (1972). 5. T. W. Hänsch, "Repetitively Pulsed Tunable Dye Laser for High Resolution spectroscopy," Applied Optics 11, 895-898 (1972). 6. T. W. Hänsch, M. H. Nayfeh, S. A. Lee, S. M. Curry, and I. S. Shahin, "Precision Measurement of the Rydberg Constant by Laser Saturation Spectroscopy of the Balmer a Line in Hydrogen and Deuterium," Physical Review Letters 32, 1336-1340 (1974). 7. C. Wieman and T. W. Hänsch, Physical Review Letters 36, 11701173 (1976). 8. 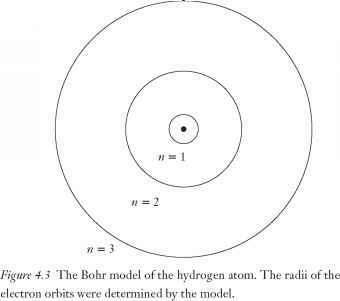 E. A. Hildum, U. Boesi, D. H. McIntyre, R. G. Beausoleil, and T. W. Hänsch, "Measurement of the 1S-2S Frequency in Atomic Hydrogen," Physical Review Letters 56, 576-579 (1986), p. 576. 10. T. Andreae, W. König, R. Wynands, D. Leibfried, F. Schmidt-Kaler, D. Meschede, and T. W. Hänsch, "Absolute Frequency Measurement of the Hydrogen 1S-2S Transition and a New Value of the Rydberg Constant," Physical Review Letters 69, 1923-1926 (1992). 12. Th. Udem, A. Huber, B. Gross, J. Reichert, M. Prevedelli, M. Weitz, and T. W. Hänsch, "Phase-Coherent Measurement of the Hydrogen 1S-2S Transition Frequency with an Optical Frequency Interval Divider Chain," Physical Review Letters 79, 2646-2649 (1997). 14. A. Huber, Th. Udem, B. Gross, J. Reichert, M. Kourogi, K. Pachucki, M. Weitz, and T. W. Hänsch, "Hydrogen-Deuterium 1S-2S Isotope Shift and the Structure of the Deuteron," Physical Review Letters 80, 468-471 (1998). 1. An English translation of Friedmann's 1922 paper appears in Cos-mological Constants: Papers in Modern Cosmology, J. Bernstein and G. Feinberg, eds. (New York: Columbia University Press, 1986). 2. Quoted in Helge Kragh, Cosmology and Controversy (Princeton: Princeton University Press, 1999), p. 105. 3. R. A. Alpher, H. Bethe, and G. Gamow, "The Origin of the Chemical Elements," Physical Review 73, 803-804 (1948). 4. H. Bondi and T. Gold, "The Steady-state Theory of the Expanding Universe," Monthly Notices of the Royal Astronomical Society 108, 252-270 (1948) and F. Hoyle, "A New Model for the Expanding Universe," Monthly Notices of the Royal Astronomical Society 108, 373-382 (1948). 5. A lovely historical account of cosmology is the recent book by Helge Kragh, Cosmology and Controversy: The Historical Development of Two Theories of the Universe (Princeton: Princeton University Press, 1996). 6. R. A. Alpher and R. C. Hermann, "Evolution of the Universe," Nature 162, 774-775 (1948). 7. Quoted in Dennis Overbye, New York Times, February 10, 1998. 8. Margaret J. Geller, "Is Cosmology Solved? A Tribute to David N. Schramm," Astronomical Society of the Pacific 111, 253 (1999). 10. Terry P. Walker, Gary Steigman, David N. Schramm, Keith A. Olive, and Ho-Shik Kang, "Primordial Nucleosynthesis Redux," Astro-physical Journal 376, 51-69 (1991). 11. Richard I. Epstein, James M. Lattimer, and David N. Schramm, "The Origin of Deuterium," Nature 263, 198-202 (1976). 12. Scott Burles, Kenneth M. Nollett, James W. Truan, and Michael S. Turner, "Sharpening the Predictions of Big-Bang Nucleosynthesis," Physical Review Letters 82, 4176-4179 (1999), p. 4176. 13. A. Songalla, L. L. Cowle, C. J. Hogan, and M. Rugers, "Deuterium Abundance and Background Radiation Temperature in High-Redshift Primordial Clouds," Nature 368, 599-604 (1994). 14. S. Burles and D. Tyler, "The Deuterium Abundance toward Q50 1009+2956," Astrophysical Journal 507, 732-744 (1998). 1. C. S. Wu, E. Ambler, R. W. Hayward, D. D. Hoppes, and R. P. Hudson, "Experimental Test of Parity Conservation in Beta Decay," Physical Review 105, 1413-1414 (1957). 2. Richard L. Garwin, Leon M. Lederman, and Marcel Weinrich, "Observation of the Failure of Conservation of Parity and Charge Conjugation in Meson Decays: The Magnetic Moment of the Free Muon," Physical Review 105, 1415-1417 (1957). 3. J. H. Christenson, J. W. Cronin, V. L. Fitch, and R. Turlay, "Evidence for 2n Decay of the KL Meson," Physical Review Letters 13, 138140 (1964). 4. Carl D. Anderson, "The Positive Electron," Physical Review 43, 491-494 (1933). The positron originated in Earth's atmosphere. 5. O. Chamberlain, E. Segre, C. Wiegand, and T. Ypsilantis, "Observations of Antiprotons," Physical Review 100, 947-950 (1955). 6. Quoted in "Antihydrogen" by John Eades, Richard Hughes, and Claus Zimmermann, in Physics World 6, 44-48, July (1993), p. 48. 7. G. Baur, "Production of Antihydrogen," Physics Letters B 368, 251-258 (1996). 8. G. Blanford, D. C. Christian, K. Gollwitzer, M. Mandelkern, C. T. Munger, J. Schultz, and G. Zioulas, "Observation of Antihydrogen," Physical Review Letters 80, 3037-3040 (1998). 9. Steven Weinberg, Dreams of a Final Theory (New York: Pantheon Books, 1992). 1. S. N. Bose, "Plancks Gesetz und Lichtquantenhypothese," Zeitschriftfür Physik 26, 178-181 (1924). 2. For a complete account of the story see William A. Blanpied, "Satyendranath Bose: Co-Founder of Quantum Statistics," American Journal of Physics 40, 1212-1220 (1972). 3. Martin Klein, "Einstein and Wave-Particle Duality," Natural Philosopher 3, 1-49 (1963), p. 26; quoted in Blanpied. 4. Albert Einstein, "Quantentheorie des einatomigen idealen Gases," Berliner Berichte 3, 3-14 (1925). 5. P. A. M. Dirac, "On the Theory of Quantum Mechanics," Proceedings of the Royal Society 112, 661-677 (1926); Enrico Fermi, "Zur Quantelung des idealen einatomigen Gases," Zeitschrift für Physik 36, 902-912 (1926). 6. Eric A. Cornell and Carl E. Wieman, "The Bose-Einstein Condensate," Scientific American (March) 40-45 (1998). 7. M. H. Anderson, J. R. Ensher, M. R. Matthews, C. E. Wieman, and E. A. Cornell, "Observation of Bose-Einstein Condensation in a Dilute Atomic Vapor," Science 269, 198-201 (1995). 8. Daniel Kleppner, "The Yin and Yang of Hydrogen," Physics Today, 11-12 (1999). 9. See Issac F. Silvera and Jook Walraven, "The Stabilization of Atomic Hydrogen," Scientific American (January) 66-74 (1982). 10. Dale G. Fried, Thomas C. Killian, Lorentz Willmann, David Landhuis, Stephen C. Moss, Daniel Kleppner, and Thomas J. Greytak, "Bose-Einstein Condensation of Atomic Hydrogen," Physical Review Letters 81, 3811-3814 (1998). 11. Quoted in Physics Today, August 1995, p. 20. 12. M. R. Andrews et al., "Observation of Interference between Two Bose Condensates," Science 275, 637-641 (1997). 13. S. Inouye et al., "Phase-Coherent Amplification of Atomic Matter Waves," Nature 402, 641-644 (1999). 14. Lene V. Hau et al., "Light Speed Reduction to 17 Meters per Second in an Ultracold Atomic Gas," Nature 397, 594-598 (1999). 1. S. Mohorovicic, Astronomische Nachrichten 253, 94 (1934). 2. M. Deutsch, "Evidence for the Formation of Positronium in Gases," Physical Review 82, 455-456 (1951). 3. L. W. Alvarez, H. Bradner, F. S. Crawford, Jr., J. A. Crawford, P. Falk-Vairant, M. L. Good, J. D. Gow, A. H. Rosenfeld, F. Solmitz, M. L. Stevenson, H. K. Ticho, and R. D. Triff, "Catalysis of Nuclear Reactions by: Mesons," Physical Review 105, 1127-1128 (1956). 4. S. H. Neddermeyer and C. D. Anderson, "Note on the Nature of Cosmic-Ray Particles," Physical Review 51, 884-886 (1937); J. C. Street and E. G. Stevenson, "Penetrating Corpuscular Component of the Cosmic Radiation," Physical Review 51, 1005 (1937). 5. V. W. Hughes, D. W. McColm, K. Ziock, and R. Prepost, "Formation of Muonium and Observation of Its Larmor Precession," Physical Review Letters 5, 63-65 (1960). 6. Vernon W. Hughes, in Exotic Atoms '79: Fundamental Interactions and Structure ofMatter, Kenneth Crowe, Jean Duclos, Giovanni Fioren-tini, and Gabriele Torelli, eds. (New York: Plenum Press, 1980), p. 3. 7. V Meyer et al., "Measurement of the 1S-2S Energy Interval in Muonium," Physical Review Letters 84, 1136-1139 (2000). 8. B. Höglund and Peter G. Mezger, "Hydrogen Emission Line nno 6 nio9 Detection at 5009 Megahertz in Galactic H II Regions," Science 150, 339-348 (1965). 9. Daniel Kleppner, Michael G. Littman, and Myron L. Zimmerman, "Highly Excited Atoms," Scientific American (May 1981), pp. 130149. 10. Michael Nauenberg, Carlos Stroud, and John Yeazell, "The Classical Limit of an Atom," Scientific American, June 1994, 44-49. 11. Thomas Stoehlker et al., "1S Lamb Shift in Hydrogenlike Ura nium Measured on Cooled, Decelerated Ion Beams," Physical Review Letters 85, 3109-3112 (2000). 1. John S. Rigden, Rabi: Scientist and Citizen, with a new preface (Cambridge: Harvard University Press, 2000).